All online marketing plans are created with the objective of growing your business, improving customer loyalty and enhancing brand awareness. With the right strategy, you should have the ability to generate more traffic–which, can then boost your client numbers. It certainly makes sense to create a marketing plan built for the digital environment–consumers are online so, it’s where you need to be. That is all well and good, but what if you don’t know where to start? You’ve read as much content as you can digest on SEO, social media tips, content marketing strategy and business marketing. And, you are probably burnt out—confused about where to start. Not to worry. We’ve curated a list of digital marketing strategies to help you achieve your online marketing goals. In addition, we provide options that are flexible enough to modify as needed. So, let’s get started. While there is a universal challenge of figuring out where to start and how to draw up your online marketing strategy, it helps to know that this doesn’t have to turn into a massive report. In this piece, we emphasize the need to begin your focus with only one marketing channel. This helps to ease that overwhelming feeling of needing to master multiple marketing avenues at once. Each technique must be evaluated, analyzed, prioritized and then put into action. Nonetheless, a marketing plan gives direction to the directionless. If you don’t have goals, you then will not put resources into any goals and you won’t achieve those goals. With an online marketing plan, you get a step-by-step guide towards success. Another reason why you need a digital marketing plan is to help you better understand your online marketplace using digital tools and feedback. Furthermore, if you don’t have an online marketing strategy this year, you can be sure that your competitors will eat up your market share. While you’re still trying to figure things out, your competitors are eating your digital lunch. According to Coschedule, marketers who document their strategy are 538 percent more likely to report successes. As you begin the process of creating your online marketing plan, it is crucial to keep in mind the difference between goals, strategies and execution. Once you grasp the differences, you can improve your content marketing plan. Plus, you’ll have a better idea of how to tie each function together for optimized results. To start, the goal is the umbrella of what you want to achieve this year. This is the first thing you want to focus on before any other details are produced. Your goal might be to generate $200 each day in revenue using your landing page and content. As a result, the strategy is how you can achieve your objective of attaining $200 per day in revenue. So, your online marketing strategy would be to attract more business through a customized conversion funnel. Now, the execution might be to update your website so that it is more relevant to your target audience and to produce more personalized content with links to your products and a call-to-action at the end of every piece. Many online marketing plans go awry when they fail to focus on just the execution and forget about the strategies and goals. When setting up your execution, it’s important to have the bigger picture in mind and how your strategy helps to achieve your objective. If you can separate goals from strategies and executions, then you can immediately work on the steps you need to take to achieve your business goals. And, you might keep the same goal, but you can always modify your strategies and executions depending on their results. If your website isn’t generating enough business as you would like, then continue tweaking and modifying. With this plan, you are better prepared to reach your goals and your target audience. It’s a no brainer that you need to know more about the recipients of your online marketing plan. To create the best marketing plan for your business, you need to create detailed buyer personas. These are representations of your target and ideal customer(s). You get the specifics for your personas by researching, polling and interviewing members of your target audience. In addition, it is better to base your persona on real data instead of assumptions. You’ll be happy to note that buyer personas are not difficult to create. Think of it as creating a character for a fiction book, except this character is as close real life as it gets. 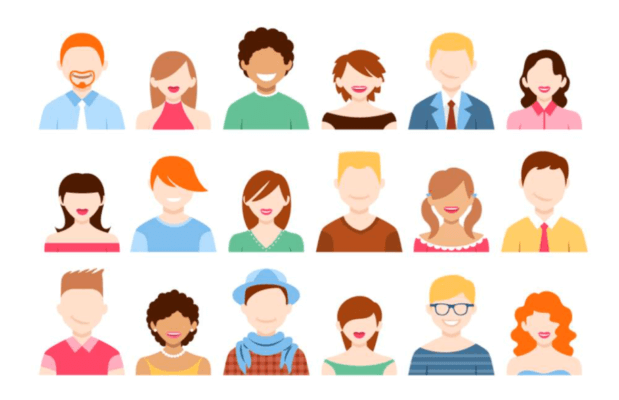 If you’re still wondering why buyer personas are so critical, consider this: buyer personas make it easier to customize your messaging, branding, product development, services and content specifically to their needs, behaviors and expectations. Depending on the size of your business, you might have between one and 20 buyer personas. If this is your first experience with creating a buyer persona, start with just one. As you get better at the process, you can always create more personas at a later date. Search for trends around how your customers consume your content. Use web forms to capture content such as company size, job role, job responsibilities, location, age group, biggest challenges, marital status, educational background, shopping preferences and similar demographics. Ask your sales team or customer service representatives for feedback on the types of customers and prospects they interact with the most. Interview prospects and customers over the phone, in person or via online chat to find out what they like most about your products and services. Offer incentives, such as a gift card, to motivate interviewees to answer your questions. Then, make it easy for them to participate. Interview at least three to five people for each persona. General Notes: “I work closely with finance and business operations. My primary focus is managing financials from accounting to forecasting.” I want to… reduce spending while improving productivity, not deal with repeatable manual processes I like… finding answers (i.e., solving problems/puzzles) I like… being organized I like… being an enabler I don’t like… being inefficient…wasting time. Isn’t it easier to now tailor your online marketing efforts when you have a descriptive buyer persona. It’s important to have the right tools in place to measure your progress against your online marketing goals this year. For instance, if your goal is to generate 15 percent more online revenue, then you may have to figure out a way to produce 30 percent more leads through your website. Regardless of your objective, you need to measure it with the appropriate digital tools. How you measure your results will vary depending on your needs and goals. To illustrate, you might use a website tool such as Unbounce to test your landing pages. 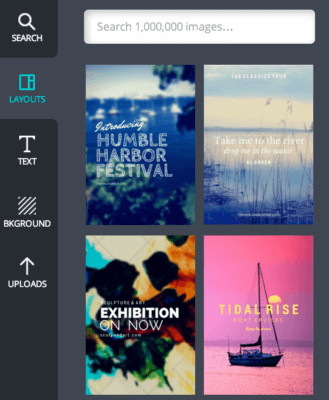 In terms of visuals for your content marketing, you could use the web-based design tool Canva to create unique pieces. You may also have earned media, which is recognition you have received through the press, interviews, company reviews and people who share your content. Another piece to audit is your paid media, such as your online advertising and anything else you paid for to improve brand awareness, exposure and to increase leads. The goal is how you can get owned, earned and paid media to work together cohesively to meet your online marketing goals. It also helps to understand how your marketing executions have worked so far. Yet, the most significant piece is your owned media. Any message you share about your brand is content–these can be articles, white papers, social media posts, product descriptions and more. When your content is optimized for your buyer persona(s), it brings more leads and traffic. Whatever your objective, you will need to decide how your owned content can help reach your goals. Perhaps a new, and relevant, white paper will generate more leads through your site than what you accomplished last year. Or, maybe an eBook you shared last year was successful in driving more leads–if so, then you’ll want to build on that momentum and promote more eBooks this year. So, with this audit, review all the pieces of owned content that performed best for your brand in the previous year–which pieces of content brought in the most leads? Then, look at your buyer personas and how you can revise some of your older content pieces to appeal to your newly-created buyer persona. As you can see, the purpose of this audit is to figure out what works–do more of that this year–and to make revisions for media that could be improved. Click here some very interesting statistics on content marketing trends. To really jumpstart your online marketing momentum, it helps to first concentrate on paid search. 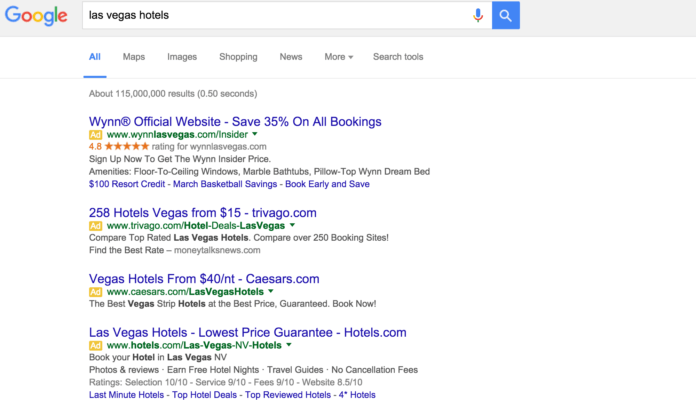 You might have heard of paid search but are still unclear as to how it works. There are many definitions for paid search. At its core, paid search marketing means you pay to become a sponsored listing on a search engine, and you pay when your ad is clicked (pay-per-click–PPC) or by the number of impressions (cost-per-impression — CPM). For instance, if you own a pet store and someone searches for “cat snacks” your ad would be listed on top of the search engine results page (SERP). If you’re wondering why we’re directing your initial efforts towards paid search, the reason is simple: you want to get your company listed at the top of the SERPs. More than that, when your company is one of the top four results, it increases the opportunity for clicks and traffic. And, paid search is the fastest and most efficient way to get to the top–especially if you still don’t fully understand how to optimize your content for SEO, which should be your next target. For now, paid search will produce the best results in the shortest amount of time. In fact, the top three spots on Google get 58 percent of the clicks. Additionally, tracking paid search is quite easy and straightforward. Every keyword and investment you make can be tracked. More than any other media, paid search offers a lot of transparency–in real time too. You can see which keyword combinations and ads work best compared to ads that could use improvement. What’s the result? You get a truly accurate ROI. To illustrate, if you invest $300/month and receive 50 conversions for every $100, then even a 10 percent return can equate to $5,000 in sales. It’s difficult to replicate these types of results through any other marketing channel when you are just starting out. Not to mention, paid search can give you immediate global reach–try doing that on your own. Regardless of the size of your business, paid search can be tailored to your budget and needs. Once your campaign is set up, you can get traffic in a matter of minutes. Still, it’s not just about the initial flow of traffic, this is about investing in paid search to receive consistent traffic every day. Consistency is the key to success. Massive spikes and equally massive lulls can destroy a website. Another reason to invest in paid search is you can test and optimize your ads to ensure they are hyper-targeted. This is relevant traffic because they saw your ad based on their search query. They did not bounce onto your site. This traffic wants to see what you have to offer. If you wanted to build upon your current client base, you can do that as well. For example, you want to expand your business outside of your town or city. With paid search, you can target your prospects by zip code, radius, location and even household demographics. Without paid search, it would be difficult to compete with similar businesses in the cities you want to target. One of the hidden advantages of paid search is the ability to see what your competitors are doing. Through your paid search campaign, you can see local and national businesses who are competing with you in your targeted markets. You might then hop on to their site to get a few ideas. Also, think about how you might advertise a new location or perhaps you are moving to another address. It would take time to announce the news efficiently through organic methods. Not having enough traffic at your new site or losing customers because they keep going to your old location can destroy your business. Instead, paid search gives you immediate presence which can be targeted to the areas around your new city or address. You’ve created a buyer persona, you’ve done the research, you’ve audited your content and are learning about paid search. 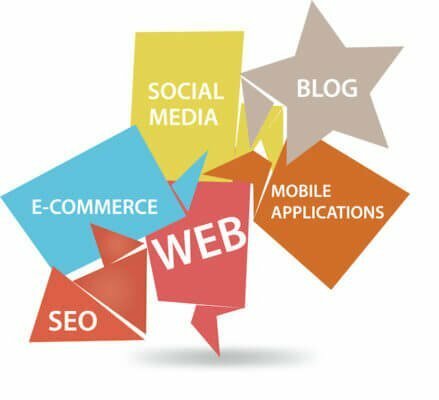 You now have the components you need to build your online marketing plan. In February, launch a new eBook customized for your buyer persona–promote through paid search. In July, start to audit the results of your website–tweak where necessary. In October, focus on attracting more media in the form of press releases, interviews and more–reach out to journalists and relevant publications. With this format, you not only have a guide, but you also have a timeline to follow. The basis of a successful online marketing strategy boils down to a thoughtful plan. Your outcome should be tailored to your business. This isn’t about a one-size-fits-all strategy–but, you can use the tips above to create some unique for your organization. Keep in mind the reason for your plan is to direct the executions you will take to achieve your business objectives throughout the course of this year. Since you now understand the difference between goals, strategy and executions, you won’t have to worry about going around in circles. So, grow your business this year by working on your plan right now.